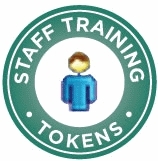 This category contains training's targeted at all employees to improve basic workforce skills and professionalism. The courses in this category address the knowledge and skills necessary for every employee to be successful in the workplace. Topics include computer skills, time management, problem solving and communication in the workplace.